Last post: Models of Time Perception. In the last post, I discussed models of time perception. 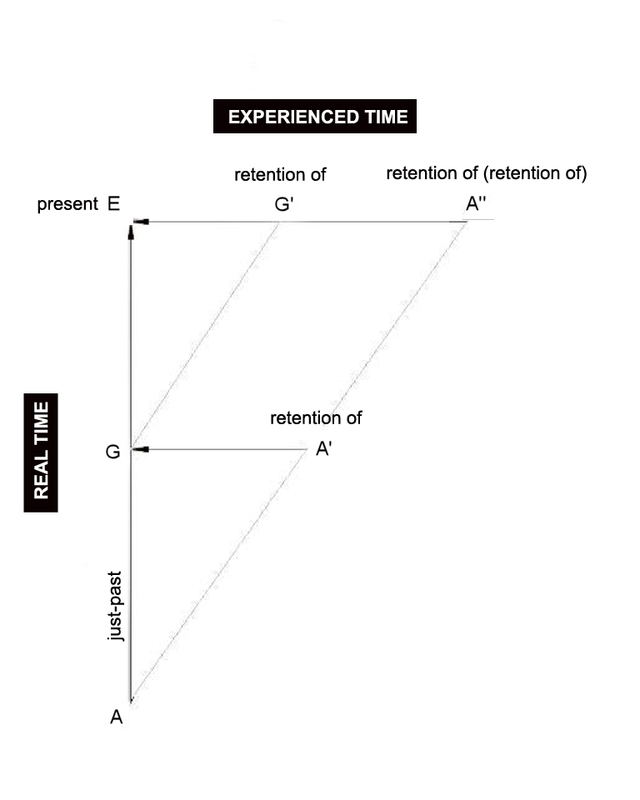 These models are not meant to be models of temporal experience more generally. I will briefly discuss in this post why I think we should carefully distinguish between time-perception, on the one hand, and time-consciousness and temporal experience on the other. I think presence matters significantly to time perception; but it is not so obviously significant to the more general temporal experience. In the literature, it’s common to talk about time perception, time consciousness, and temporal experience. One might assume that these terms are synonyms of each other, and each can be substituted for another. That is, every instance of (a) time perception is an instance of (b) time consciousness And an instance of (c) temporal experience. (i) Not all instances of experience are instances of perception. (ii) Not all instances of perception are instances of experience. As such, qualifying either ‘perception’ or ‘experience’ with ‘time’ or ‘temporal’ does not give you the ‘time’ or ‘temporal’ version of the other. Instances of experience are not identical to instances of memory if (a) there are instances of experience in remembering or imagining and (b) neither remembering or imagining is perceiving. Similarly, if one holds that (a) there is cognitive phenomenology, (b) holds that phenomenology is identical to experience, and then (c) holds that cognition and perception are not identical, then there are cases of cognition which are experiences but not perceptions. Instances of perception are not identical to instances of experience if (a) there is unconscious perception and (b) one holds that consciousness is necessary for experience (which many people hold — although see also work by Hinton and Carruthers paper on ‘Brute Experience’). There are lots of theorists who think that unconscious, non-experiential, non-phenomenological perception is possible (for example, see Nicholas Humphrey’s book ‘Seeing Red’ (in the bibliography)). If that’s right, then we have instances of perceptions which (by being unconscious) are not experiences (which must be conscious). As such, when one talks about time perception, time consciousness and temporal experience, one must be careful to acknowledge that they might not be the same thing. Not doing so can lead to assumptions and confusions about what’s being explained and how to explain it. One may provide answers which are inadequate and raise objections which are irrelevant. Next, I’ll give some examples of cases where this can happen–where the two are treated as identical or, if treated differently, the difference is not significant. A. We think about both phrases as refering to experiences which are explained the way all cases of possible temporal experience are explained. This includes experiences of vast durations which we would never seriously refer to as perceptions of such durations. B. We allow a difference between time perception and temporal experience which is only a matter of quanitity or magnitude. Perception is commonly thought to be only of present things; we do not perceive the past or future (as discussed by Mellor 1998). So, time perception is experience which is of time in the present. However, that is the only difference between it and other kinds of temporal experience. Otherwise, as with A, we explain it in exactly the same way. If we follow A or B, then we get the following situation: temporal experience includes durations beyond any we might see (or hear etc.) now; it includes memory experiences or the experience of certain kinds of anticipation; it includes experiences of durations beyond ones own lifetime–if there is experience in certain kinds of imagining–that is, imagining how long ago the big bang might be, or the future death of the sun (the phenomenology of the time you are imagining). I think that someone thinking about models of experiences of durations such as the duration stretching back to the Big Bang is justified in holding that time and temporal properties (including relations, etc.) have to be something a human can only intend, imagine or in some way think about. It seems intuitive and non-absurd to assume that the vehicle of such experiences does not extend back through time to those events. The duration between the subject and those events (along with the events) is on an ontological and constitutional par with conceivable unicorns and the surfaces of inhabited alien planets. That is, we can imagine, depict and think about time as we can think about unreal but possible things such as unicorns. And, even if time is real, like inhabited alien planets, we must only think about it. Further, to hold that we–humans—can perceptually experience such durations is a mistake, at least not in the way that naive realism might want perceptual experience to be. It is not a perceptual experience like hearing rain, seeing your hand or a distant star. And so, we should conceive of ‘experiences’ of such durations as being more like the ‘experiences’ of imagined things. Thinking this way about time and experience generally, without making an exception for time perception, we get the following. We apply this thinking to what some may call time perception, e.g., the time of what is perceived. But such ‘time perception’ is misleading or a misnomer. We don’t perceive the duration or temporal properties of present things. This is because what applies to ‘time perception’ is what also applies to experiences of the duration stretching to the Big Bang and all other experiences of time. The only difference is quantitative, i.e., a matter of how long is the particular duration that we experience. So time perception has to be intentional. In any case, there is a phenomenological reason to resist identifying time perception and temporal experience. This difference is not just a matter of the quantity of duration. It involves the experience of present duration or change, what is often called the specious present. This can be seen in most contemporary discussion and comments on the specious present — for example, Broad, Dainton, Mundle, Grush, Le Poidevin, Kelly (and (of course) myself). In this sense, one may hold that time is perceptually experienced in a way which is as consistent with naive realism as space is perceptually experienced. . If we follow such philosophers (as I do, being one of them), then we have reason to think that the difference between time perception and general temporal experience is not just a matter of quantity but quality. There is a qualitatively different phenomenology, or even a categorical difference, in the two kinds of experiences. Here is how I divide the two extreme forms, that of the duration stretching back to the Big Bang and that of the duration in the specious present. — One (of the Big Bang-related duration) is like imagination, or is memory, or anticipation–all of which I think are easily conceived as merely intentional and thought-like, like imagination. — The other (of the specious present, or of perceived change) is perceptual. The latter is not merely intentional or thought-like, like imagination. This difference rests on the assumption of a difference between perception which might be denied by contemporary philosophers of mind and perception. There’s lots of literature out there on the idea of perception-as-cognition, cognitive penetration, etc. Yet, not everyone holds this view, and the point still stands that there is a phenomenological difference between perception and thought (whether or not theorists like cognitive penetrativists (if they can be called that) notice or are concerned with such a difference). If this is right, time perception does not seem to be a mere matter of perceiving one thing and remembering another–which might explain longer durations–or of imagining a duration–which might explains ‘experiences’ of times like the Big Bang or the duration to it. It seems to be a perceiving of temporal properties in the perception of change. One might think the opposite holds about the relationship between time perception and temporal experience. One might think that, whenever someone refers to temporal experience, they mean time perception, raising possible confusion from the other direction. Here is one way to get confused–once one holds one or two commonly held positions. One holds that (a) perception always refers to present things and (b) present things are punctal. Holding these, you might be puzzled by how there could be temporal experience other than the experience of whatever temporal properties are compatible with the present. Consider the duration to the Big Bang. You do not experience that. Or consider the duration between you and any event in the past or the future. You cannot experience that duration because no such duration is present (something held by St Augustine as far back as the 4th century). However, that we do have such experiences–of non-present events–is right if the following is right: we have experiences of remembered events. Remembered events are past; so if we experience remembered events, then we experience past events. (Of course, representations of remembered events need not be and neither need experiences of them, but that’s a separate issue). 1. Time perception refers to things like perceived change, time in the experienced present, the specious present, etc. 2. Temporal experience refers to a general experience. It may cover time perception (where the perception includes perceptual experience) but it also concerns all other kinds of experiences involving time. It includes whatever it is we call the ‘experience’ of durations over eons, etc.–i.e., imagined time–whatever we obviously remember and what we anticipate. What I am concerned here with is models of ‘1’–models of time perception. At this stage, with respect to illusions, I am not so interested in more general phenomenon of time consciousness or temporal experience. One reason for this focus is that, unlike imagination and cognitive phenomenology, the phenonomenology of perception invites resistance to merely intentional or thought-like models of perception. It promotes one ontology over another–those which correspond to the phenomenology (what I’ve called in my 2014 the more phenomenologically fit). As such, I think time perception is ontologically interesting, and so interesting to the ontological debates about time. This is also why I suspect how one models time perception depends in part on one’s views of reality in time and the compatibility of presence with other temporal properties. I have yet to expand on that–but the diagrams in the last post give sketches of my thinking about this relationship. This entry was posted in Constitution, Experience, Metaphysics of Time and tagged Duration, models of temporal experience, temporal experience, time perception on September 30, 2014 by timeandillusion2012. 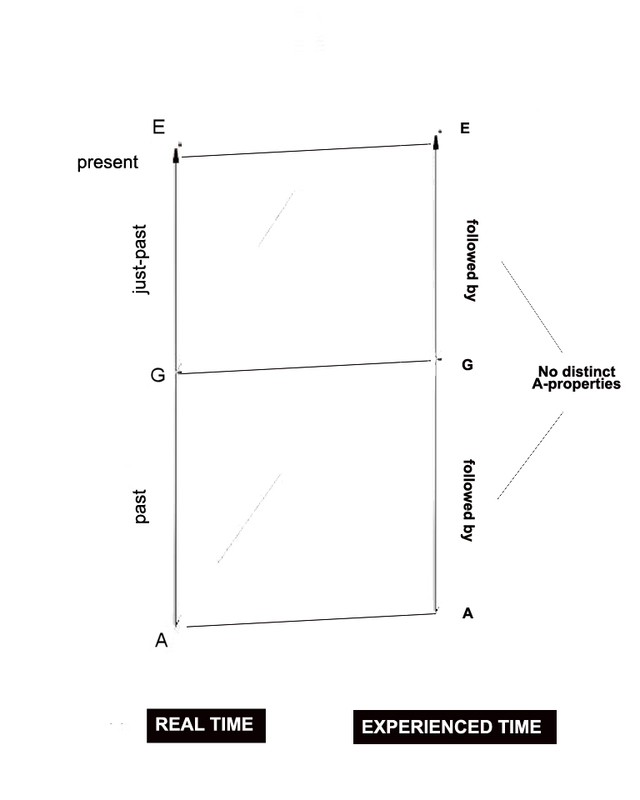 (a) Thinking about different models of time-perception and time-consciousness in light of different concepts of time (A-theory, B-theory) and presence (relative presence, absolute presence). (b) A discussion on the relationship between the experience of presence, relative presence and absolute presence. In the next work-related post, I’m going to cover ‘a’–and maybe ‘b’. Today —before that–I just want to throw up some of the diagrams I’ll be using. 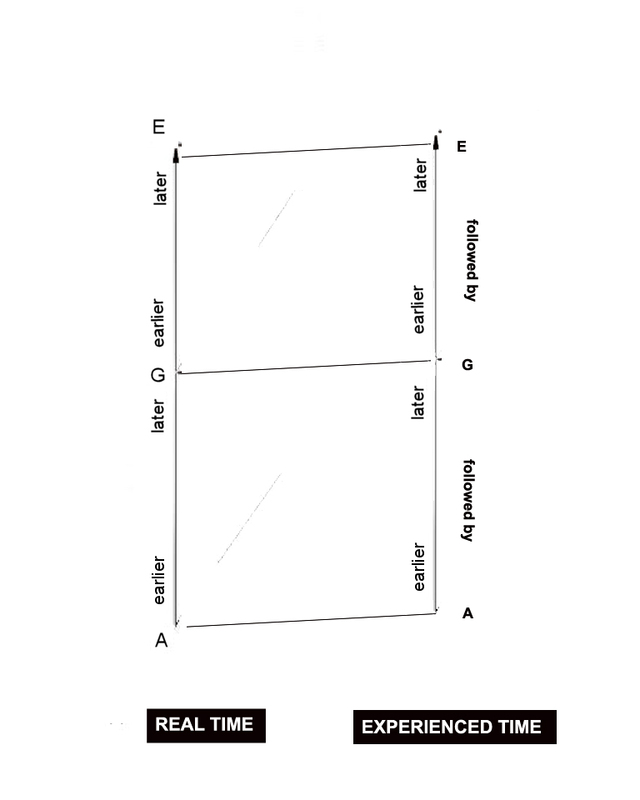 These are diagrams of, under different series of time, retentionalism and extensionalism. I also give a rough definition of the positions–but they are very brief and subject to revision. The diagrams should do the exposition here. (iii) protention (for the near-future). Retention–Basic. An attempt to leave out A-series and B-series reference in the model. (Not sure it is successful). Retentionalism in the A-series. In real time if A-theory is true (but not if B-theory is true). Retentionalism–B-series. In real time if B-theory is true (but not if A-theory is true). Very rough definition: the view that time-consciousness, experience of a duration or things happening over a duration, can be explained by consciousness extending over that duration (of things happening). Extensionalism–A-series. In real time if A-theory is true (but not if B-theory is true). 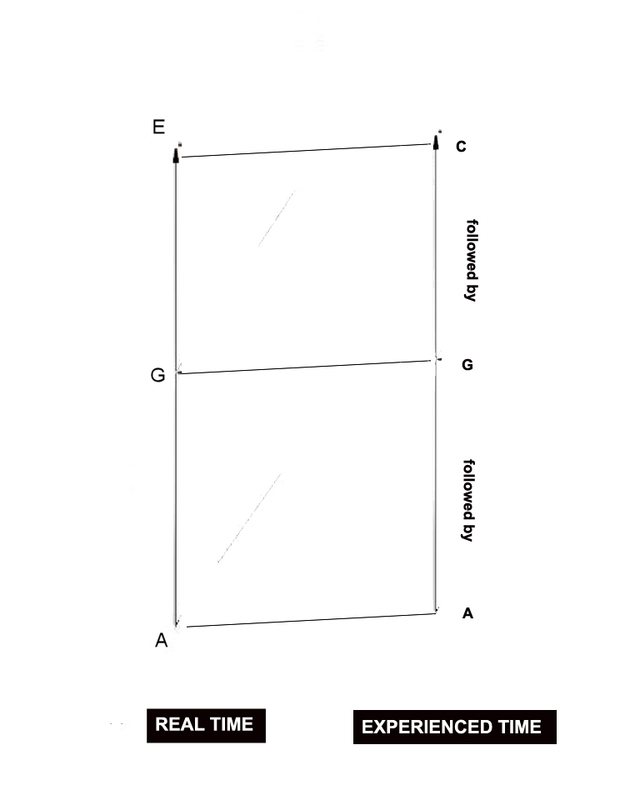 Extensionalism–B-series. In real time if B-theory is true (but not if A-theory is true). This entry was posted in Constitution, Metaphysics of Time and tagged Duration, Extensionalism, models of temporal experience, protentions, Retentionalism, retentions on September 11, 2014 by timeandillusion2012.